There is a finite number of e-commerce techniques that have proven to be good selling points. As an e-commerce business owner you need to focus on e-commerce techniques that can withstand the test of time. Techniques that can make you increase sales are mostly in marketing. However, this doesn’t mean there are no techniques in other sectors of e-commerce. Imagine in the web design and development sectors, which is responsible for the creation of e-commerce websites. It also plays a major role as far as making sales is concerned. The e-commerce sector tends to have a lot of techniques. Some of these techniques are integral to the success of your e-commerce business. Social media marketing is by far the most important part of e-commerce. The first thing about social media marketing is to try to grow your following to a considerable level. You can do this through posting amazing stuff. Growing your social media following is totally free. You just head over to the social media platform you want and create a social media page. The most commonly used social media platforms for marketing are Facebook, Instagram and twitter. These platforms have many users. For instance Facebook has more than 1.6 billion users worldwide. This means you have more than 1.6 billion potential customers on Facebook. 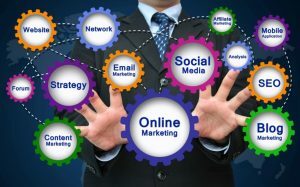 Another e-commerce social marketing techniques is to try and use a wide range of social media marketing platforms at the same time. This has also proven to be a top selling point. The design and development sector is another important e-commerce sector. This is due to the fact that you need to be able to design and develop in order to be successful in e-commerce. Developing a site that is user friendly is very important.